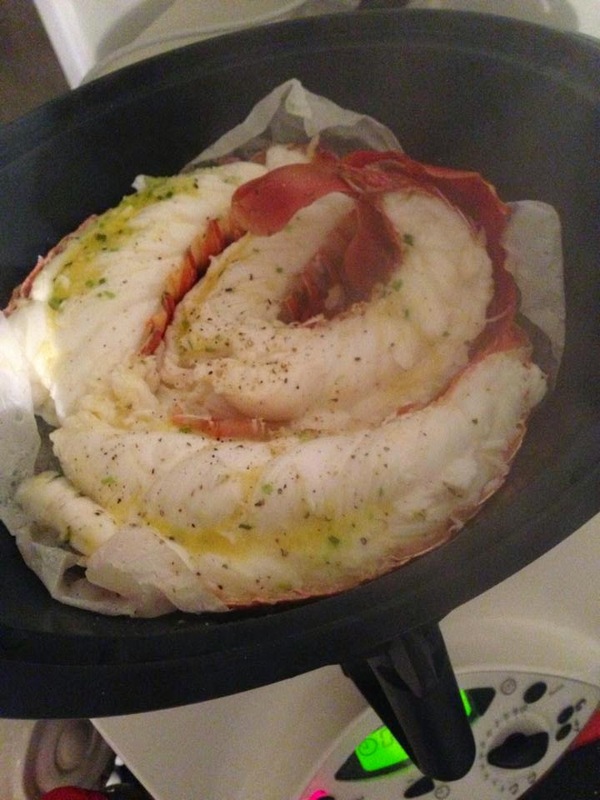 Yes, you can and yes you SHOULD try cooking your crayfish in the varoma of your Thermomix. We will never cook our crayfish any other way again, perhaps apart from on the BBQ, but never again in a pot on the stove. I posted about this on my Facebook page around 2 years ago and every time I repost it I get lots of interest so I thought I better blog it to refer people to easily. Steam for approximately 20 minutes, varoma temp, speed 1 until meat is no longer translucent. Steaming time will depend on the size/weight/thickness of the tails so will need to be adjusted. Just watch for the colour change through the lid. A few people have queried if you need to remove the meat from the shell before steaming. We don't, we find it comes out quite easily once cooked. You can make some wonderful sauces to go with your crayfish, the possibilites are endless. We prefer the garlic butter to appreciate the taste of the meat. Hope you try it!! Wouldn't it be a perfect Aussie Christmas dish? just started the varoma process... can't wait to see the finished product!! Holy Heck that was amazing!! thanks so much!